Our Business Express Service (BES) provides hands-on personalised support for businesses pursuing trade activities in Japan. The Business Express Service is specific to the Japanese market and can help your business at any stage of exporting from researching the market to finding local partners or setting up operations in Japan. The BES service provides tailored support for companies pursuing business activities in Japan. Depending on business needs, the information provided can include competitor analysis, market reviews, bespoke events, and assistance with adjusting to local business etiquette and culture. Essentially, BES gives international companies access to invaluable insights and set them on the right track. Commissioning a BES is a straightforward process and ideally is done after you have studied the free resources available on the website. – Assistance to set up an entity in Japan. Your brief will be received by our award-winning team based in central Tokyo and in the UK. We will confirm how we may be able to assist and advice on timescales and pricing. Our teams have strong technical expertise and we pride ourselves on delivering great value to the companies we work with, and always focus on exceeding expectations. Once payments are cleared, our team gets to work to respond to the brief and will communicate results within the timeframes agreed. Any business aiming to expand in the Japanese market may face barriers in accessing the right local contacts or partners. Additionally, it can be equally challenging to find the best ways to operate or achieve a successful market entry strategy in an entirely new economic and cultural environment such as Japan. Navigating local customs, business etiquette, time zone and language can present insurmountable obstacles to ambitious companies. 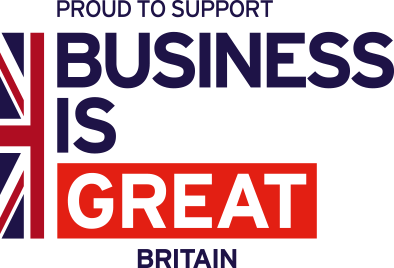 BES provides a wealth of practical support and advice to support companies with doing business in Japan. Once you’re ready to visit the Japanese market in person, BES can be handy too to remove considerable stress and hassle both during the organisation of your visit and once you’ve actually landed in the country. Costs are based on the time required to deliver the work. These range from half day for simpler tasks to a full day or more. Our day rate is £750 exc. VAT. How can we help you? Please provide as much details as possible.